Every year at this time of year, we have so many people calling during the first chinook of winter because their basement wall is soaking wet and their carpet has become a wet mess. They have not shut off their outdoor faucets properly, resulting in a frozen pipes and a flooded basement. Water that is not moving, freezes relatively quickly. Hose taps that are not being used have stagnant water under full pressure. They are also on the exterior of your home where freezing is most likely to occur. And yes, even if you have a frost free hose bib, you should be shutting off the water supply inside. Water also expands when it freezes and when there is nowhere for it to go, it will split the pipe from the pressure. If you’ve ever looked at water you make into ice cubes, it rises higher than you poured it after it is frozen. The same thing happens inside your pipe. When a chinook hits the ice, it begins to thaw and returns to the state of water. And what’s the problem? Your pipe is now cracked and letting water under pressure run non stop until you shut the water off. This can cause immense damage to your home in a very small time. Aquality Plumbing & Heating is here to help you avoid this mess! 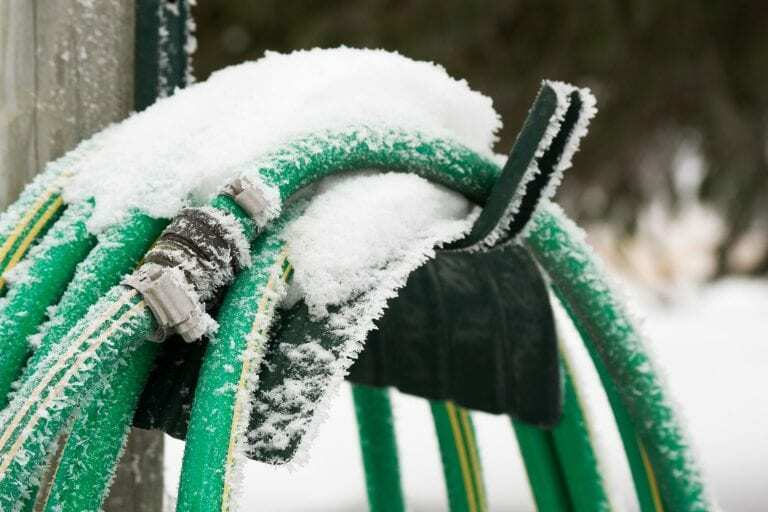 Secure your outdoor taps by shutting your hose bibs off indoors for the winter. Follow these 5 easy steps below. Find the shut off valve inside your home for your outdoor tap. You may have more than one of each. Turn clockwise to shut off or perpendicular to the pipe. This depends on your valve type. Go outdoor and turn on your outdoor hose tap. Let the tap run until all the water is out and then stop fully. Leave the outdoor hose tap open for the winter. Do not leave a hose attached outdoor. excess water. This will relieve excess water in pipe through the stop & drain on the shut off to ensure that water has moved away from the exterior of your home. Follow these steps and you will have peace of mind and save money! If you can’t find your shut off valve, if water will not stop coming out of your outdoor faucet, or you have any other questions, give us a call at 403-205-2782 and we will gladly come and resolve the issue. I have always used the inside shut off valve for my hose bibs. However just recently one of my exterior hoses continues to run full force. How does that happen? It’s summer here so no freezing. It is possible depending on age that the washer inside is simply worn and not making a good seal anymore. Also even though the shut off was off inside for the winter you must drain the line by opening the tap after you shut it off inside. This ensures water is drained out that may be in the line and allows room for expansion if the water does freeze. With the water off I would take the handle off, release the packing and inspect to see if it is just a simple washer to fix. Depending on how your hose tap is plumbed it could be very simply just to change it out as well. I hope this was helpful and if you have any other questions please let us know!